Airport City is a neighbourhood integration plan for the Pearson International Airport. It is an IwB faculty-led 6-month component of the year-long Gateway Cities project. Airport City investigates Ontario’s regional systems of innovation and aims to understand Toronto’s role as a regional gateway. Airport City is a Neighbourhood Integration Plan for our current partner the Greater Toronto Airport Authority. Working with the Greater Toronto Airports Authority (GTAA), the IwB will examine how YYZ Pearson International Airport can be better integrated within its local neighbourhood and become a gateway to the Golden Horseshoe, the province and beyond. Airport City is an exciting opportunity to build cooperation among regional stakeholders and to advance growth management policy and implementation through new data collection and innovative design. 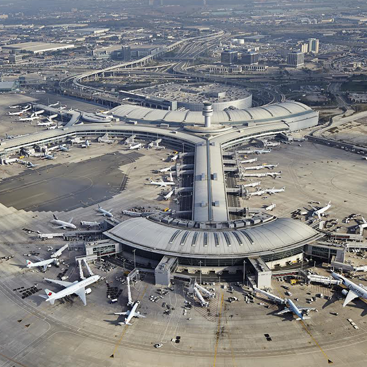 Aerial view of Pearson International Airport. Photo provided by GTAA. 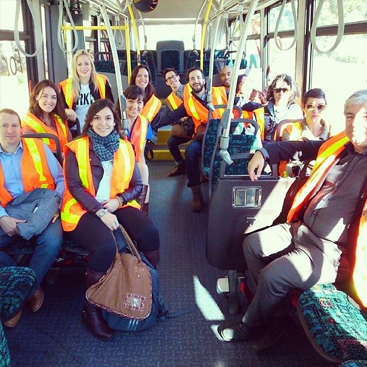 Bus tour of Toronto's Pearson International Airport with the students. 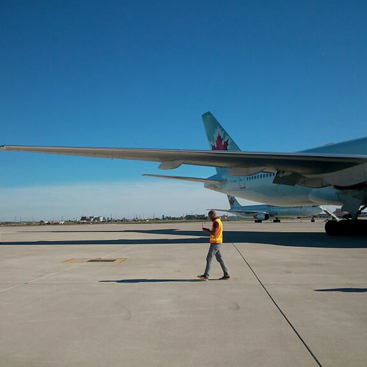 IwB student touring Toronto's Pearson International Airport. Airport City is a neighbourhood integration plan for the Pearson International Airport. It is a 6-month component of the IwB’s year-long Gateway Cities 2013-2014 project. Gateway Cities investigates Ontario’s regional systems of innovation and aims to understand Toronto’s role as a regional gateway. Airport City consists of five phases: research, opportunity identification, community consultation through a stakeholder charrette (held in March 2014), concept development, and public dissemination through a publication and exhibition. The result will be a neighbourhood and regional integration plan for Pearson International Airport and key community, government and corporate stakeholders. The plan will look at the airport’s role as gateway within the contexts of future growth and relationships with neighbouring city-regions.